Happy New Year! I hope your 2011 is full of joy, peace and happiness. And great training! 2010 was a very full year with many wonderful experiences, some challenges, and a few sad moments. Circle of life. 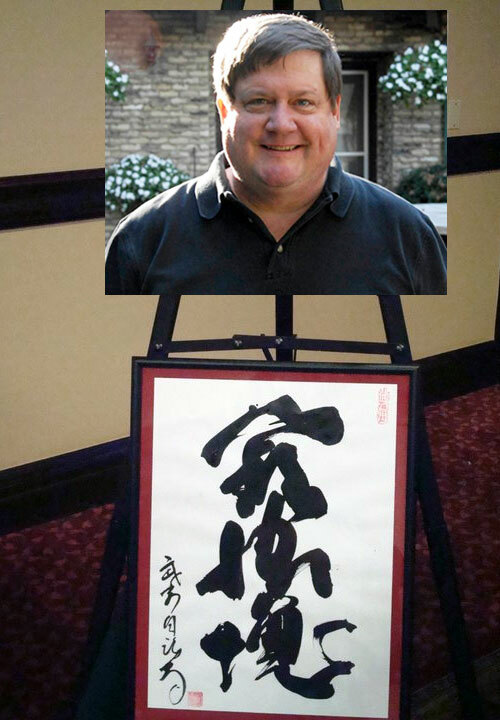 One of the most significant things to happen this year was the early passing of Buyῡ Dojo co-founder Mark Hodel. 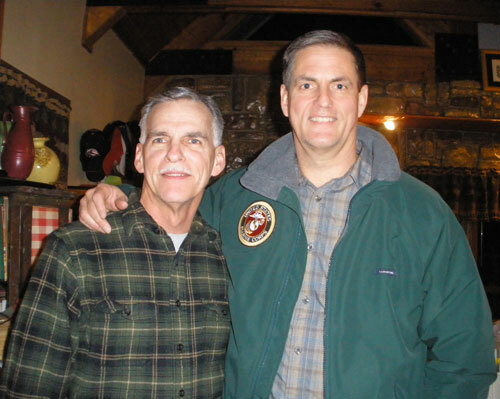 Mark and I were friends for nearly thirty years and we had many adventures together – both in and out of the Bujinkan. Mark was co-founder of the Warrior Information Network and co-sponsored 6 Tai Kai’s, including the "Last TaiKai" in 2003. He also published Hatsumi Sensei's Tetsuzan and Sanmyaku newsletters. Mark trained in Japan numerous times and organized a number of trips that facilitated many people's first training experience in Japan. 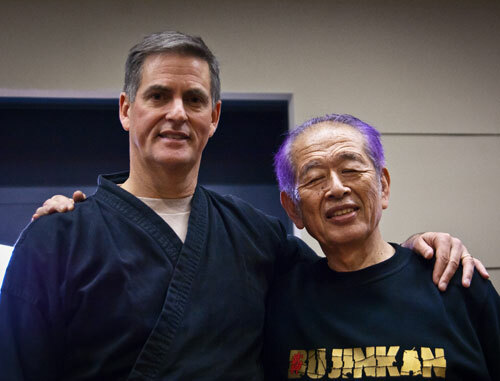 Countless practitioners around the world were introduced to the Bujinkan through Mark's efforts – directly or indirectly. If you are reading this you are probably one of them. 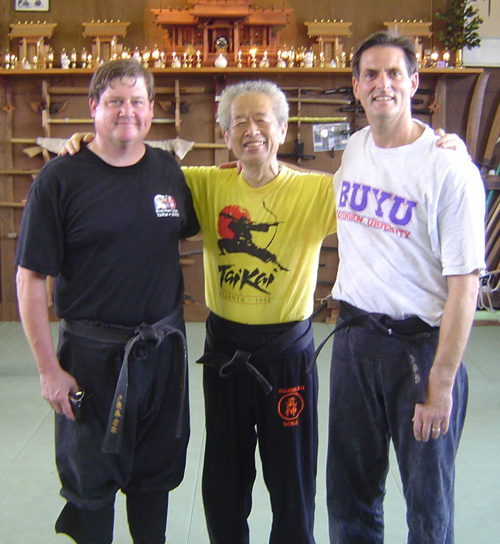 His impact on the growth of the Bujinkan in the world cannot be overstated. 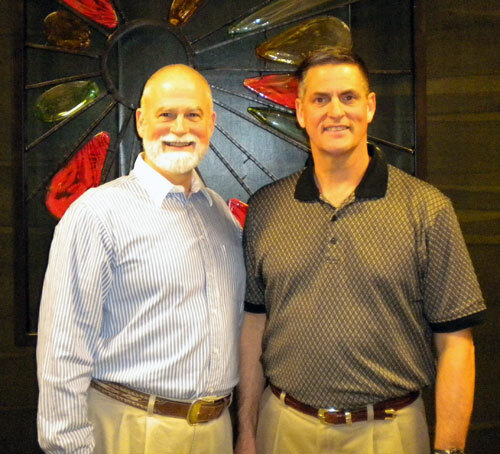 Mark was also the co-publisher of Robert L. Humphrey's book "Values For A New Millennium." Plus, he was a great guy. Mark was a real ninja, always in the background, always promoting others but not himself, coaching, mentoring, being a friend and buyῡ. There is a Mark Hodel Memorial Page here. If you have not done so already, please consider leaving a remembrance on the comment wall. Good bye, Mark. You will be sorely missed, but never forgotten. 2010 was, perhaps, my busiest year ever for training and traveling. 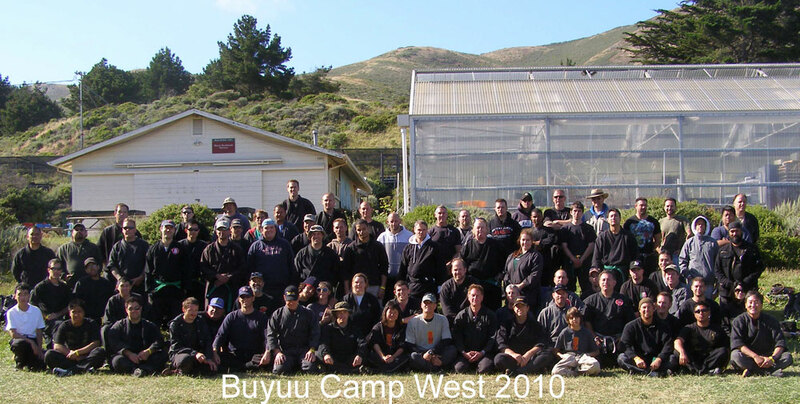 Our Buyῡ (Warrior Friends) group enjoyed a thirteenth Buyῡ Camp West in San Francisco under the Golden Gate Bridge on the Pacific Ocean, as well as, a seventh Buyῡ Camp East in New Jersey. Buyῡ Camps are a great way to connect with old friends, get valuable "continuing education," and stay inspired to "keep going" when you get back to your own training group. 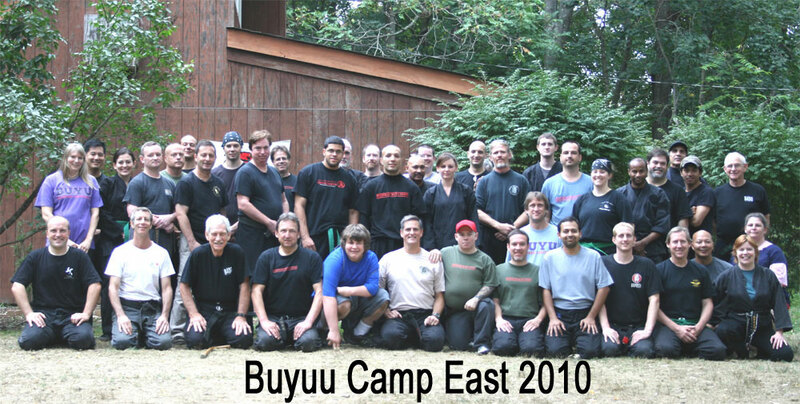 Click the respective Camp links for info on these yearly training opportunities – and check out the Photos tab on our Bujinkan Buyῡ Facebook page to see pictures and comments. We had training seminars in NJ and California. I visited Don Smith, Paul Fisher, Ed Figueroa and the guys and gals in Florida twice. I was in Chicago with Jim Morganelli and his group, twice also. And I went to Michigan to train with Craig Gray. 2010 was also a great year for meeting up with old friends. I did two seminars with Stephen K. Hayes that explored the ethics and leadership skills of the warrior. Stephen and I are planning more events in 2011 – so stay tuned! Bud Malmstrom and I also did a very interesting law enforcement-oriented seminar in Atlanta. Bud will be here in NJ in April 2011 – you are welcome to join us! Info is here. We did another seminar in honor of my Marine Corps mentor, Robert L. Humphrey in NJ this past summer. We covered Humphrey's Life Value Theory, warrior ethics, taijutsu, and the challenging and fun STRIKE training. If you are interested in Bob Humphrey's Life Values teachings, we'll see you at the "Ethical Warrior" seminar again next July in New Jersey. And then there were the International seminars. 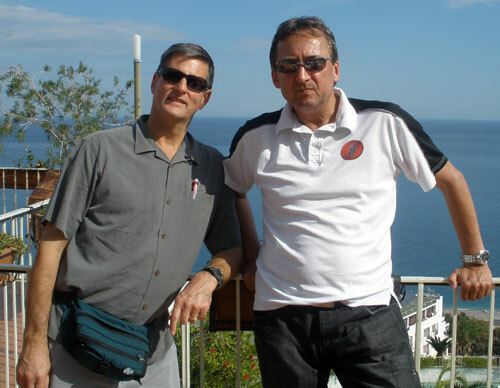 I went to Germany twice with Steffen Fröhlich – including the BuyῡKai; and he and I joined our new friend "Pucci" (Giuseppe Costa) in sunny Sicily. Sicily is a wonderful place with sincere martial artists, warm-hearted people, hot sun, great food, and excellent wine. I made many new friends there. Grazie mille! Actually, Steffen and I were together five times in 2010 – all over the world. Thank you Steffen for your friendship and all the great training! Steve Kovalcik and I did a nice seminar in London – and had a few pints, too. Thanks to Murray Taylor for joining us! 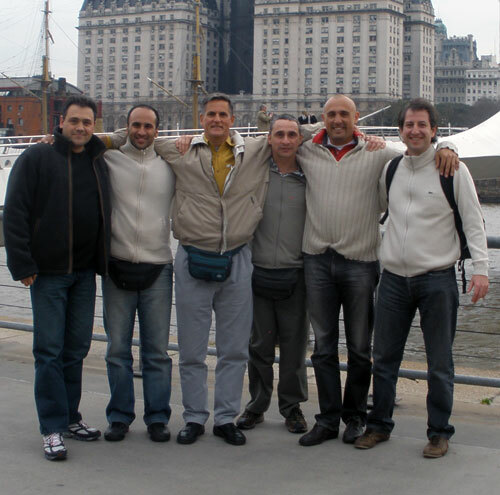 I did a TaiKai in Buenos Aires, Argentina sponsored by my friends "Don" Juan Manuel and Marcello Ferraro. More great martial artists, wonderful food and wine – and new amigos. I can't thank you all enough. Muchas gracias! I had an extremely touching moment in Buenos Aires. I had just finished talking about the Warrior Creed when a nicely dressed middle-aged couple approached me. They were crying. They told me that they had come to pick up their son from the seminar and were going to take him out to dinner and tell him that they, his parents, were going to divorce. But when they heard the story of the Warrior Creed, especially the part where "everyone should be happier when you go home," they decided to stay married. Now we were all crying! I'll never forget that family in Argentina who really took Dr. Humphrey's words to heart. God bless them! Next year will probably bring more travels. For sure I am going to Switzerland, as our friend Phil Bradshaw has opened his new Buyῡ Dojo in Zurich. Check it out here! Please consult the WIN seminar page periodically for details of all of our workshops. As usual, many of us were in Japan for the Daikomyosai – Hatsumi Sensei's annual 3-day training event. Hatsumi Sensei was as vibrant as ever – even though the training was very crowded and fresh air was at a premium. He trained all three days, and, as usual, set the bar high for all of us as we continue on our martial journeys. And not just anyone can pull off that hairstyle! 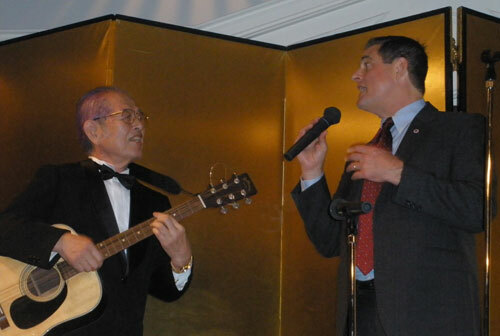 As always, I was called to lead the group in singing "Happy Birthday," as the Daikomyosai commemorates Sensei's birthday. We followed it up with a rousing rendition of "You Are My Sunshine." Every year it seems that our Buyῡ group grows a little more. We really have a lot of fun training and enjoying each others' company. This past year I was again privileged to work with the Marine Corps Martial Arts Program (MCMAP) in Quantico, Virginia. This fine program is led ably by LtCol Pat Beckett, my good friend Joe Shusko (LtCol USMC ret. ), and MSgt Tony Polzin. 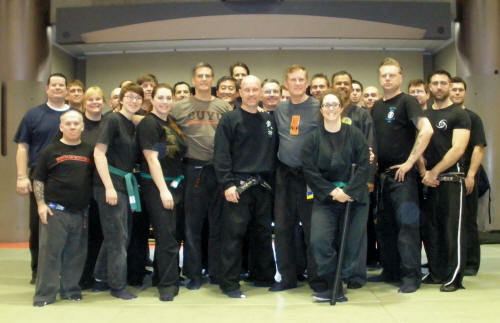 It covers armed and unarmed martial arts techniques, combat conditioning, mental training, and character development. I can't say enough about these young Marines who I am privileged to train. They are physically and mentally tough, yet respectful and ethical. Many are veterans of both Iraq and Afghanistan. The methodology we use is simple but vitally important: train a lot, talk a bit, train a lot, talk a bit. The Marines relish the physical training, and then are open to hear how to use their training and ethics to maintain their ethics and a "combat mindset" under the adversity of war. In martial arts training, it is often easy to focus on the physical part while giving mere lip service to the mental and character elements. But all three parts must go together. It seems that this concept of an Ethical Warrior – protector of life – is starting to resonate with people. I had an article published in the Marine Corps Gazette in 2010 that was well received. You can read it here. The terms "values," "morals," and "ethics" are used imprecisely in our society, in my opinion. I think that it is very important to be able to understand the distinctions – particularly if you are a warrior who might be involved in violent or deadly situations. Values. According to the dictionary, values are “things that have an intrinsic worth in usefulness or importance to the possessor,” or “principles, standards, or qualities considered worthwhile or desirable.” However, it is important to note that, although we may tend to think of a value as something good, virtually all values are morally relative – neutral, really – until they are qualified by asking, “How is it good?” or “Good to whom?” The “good” can sometimes be just a matter of opinion or taste, or driven by culture, religion, habit, circumstance, or environment, etc. Again, almost all values are relative. The exception, of course, is the life value. Life is a universal value. We might take this point for granted, but we all have the life value, or we would not be alive. Life is also a dual value – self and others. Morals. Moral values are relative values that protect life and are respectful of the dual life value of self and others. The great moral values, such as truth, freedom, charity, etc., have one thing in common. When they are functioning correctly, they are life protecting or life enhancing for all. But they are still relative values. Our relative moral values must be constantly examined to make sure that they are always performing their life-protecting mission. Even the Marine Corps core values of "honor, courage and commitment" require examination in this context. Courage can become foolish martyrdom, commitment can become irrational fanaticism, honor can become self-righteousness, conceit, and disrespect for others. Our enemies have their own standard of honor, they have courage, and they are surely committed. What sets us apart? Respect for the universal life value sets us apart from our enemies. Ethics. A person who knows the difference between right and wrong and chooses right is moral. A person whose morality is reflected in his willingness to do the right thing – even if it is hard or dangerous – is ethical. Ethics are moral values in action. We have to be ethical because morality protects life and is respectful of others – all others. It is a lifestyle that is consistent with mankind’s universal values as articulated by the American Founding Fathers – human equality and the inalienable right to life. 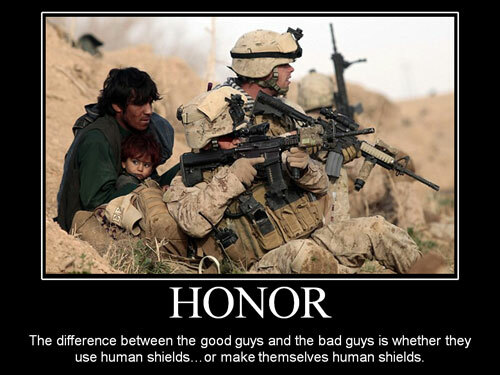 As warriors it is our duty to be protectors and defenders of the life value and to perform the unique and difficult mission of taking the lives of those acting immorally (against life) when necessary to protect the lives of innocent others. When you must kill protecting life it is still hard, but it is moral. Those who kill those not observant of their narrow relative religious, ethnic or criminal values – in other words, kill over relative values – are immoral. A dedication to protecting the life value of self and others – all others – makes the Ethical Warrior different and moral. You are in the schoolyard. You see a bully. His thinks he is “top dog.” That is fine. That perception is a relative value. But when his relative value supersedes the life value of another kid – in other words, when the bully picks on and/or punches the other kid – this is wrong! Here is the rule: relative values, no matter how “great,” cannot supersede the life value. You see the bully picking on the other kid. You feel – in your guts – that this is wrong. Congratulations, you are moral. (By the way, most people are moral – they know the difference between right and wrong). Now…you see the bully picking on the other kid. You overcome the “freeze,” you overcome the embarrassment, and you go tell a teacher. Congratulations! You are ethical. (Ethics are moral values in action). Now…you see the bully picking on the other kid. You overcome the “freeze,” you overcome the fear, and you go to the aid of the kid being bullied. You put yourself at risk. Congratulations! You have the makings of an Ethical Warrior. 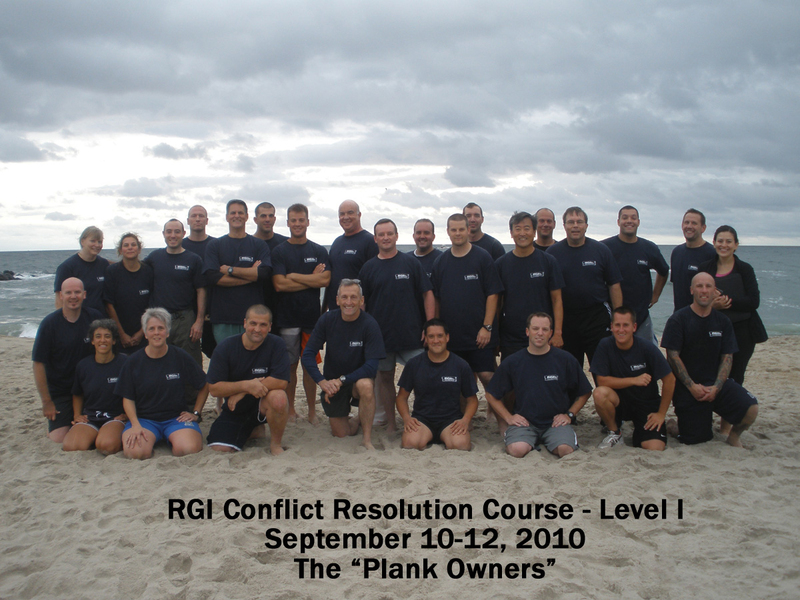 In 2010 I formed a company made up of military and law enforcement professionals called Resolution Group International (www.rgi.co). 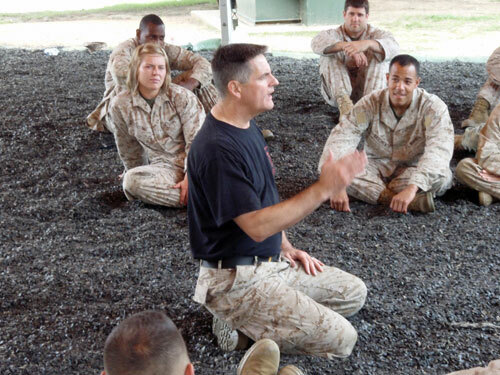 RGI continues the work I have done with Robert L. Humphrey and the Marines in the areas of ethics, conflict communication and physical protection skills. We had our first RGI Conflict Resolution Course last September and it went very well. 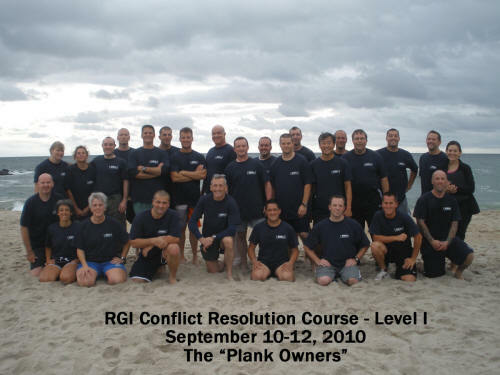 If you are interested in exploring the Ethical Warrior concept further, or applying your training to law enforcement or military scenarios, or just want to work with these interesting men in a hands-on setting, check out RGI Events. Bruce Gourlie and I have also started to write a series of articles entitled "The Ethical Warrior" for law enforcement audiences. You can read them at PoliceOne.com. Links to the articles are alsohere. Another fun thing I did again this year was to "train" a cool new literary hero, Nick Heller, from theJoseph Finder novels. It started with "Vanished;" and I was asked to contribute again in his new book "Buried Secrets" (comes out June 21, 2010). These are great thrillers – if you get a chance to pick one up, check out the fight scenes. Which brings us to 2011. This year Hatsumi Sensei has selected the theme of "Kihon Happo." Hey, I love it! But not so fast. He is using very unusual kanji in this kihon happo: 季翻初崩. 季 ("ki") can mean "season" or "end," 翻 ("hon") can mean "turn around" or "reverse," 初 ("ha") can mean "first time" or "basic" (it is also the first kanji of Hatsumi), and 崩 ("pou") can mean "collapse" or "break down." There is no way to precisely interpret Sensei's meaning. But we can be patient and enjoy learning what Sensei is teaching as the training unfolds over the next year. And of course, practice the kihon happo. As readers of this yearly message know, in an attempt to maintain the "thread" that reaches to Hatsumi Sensei across the 25 year differences in our training and life experiences, I create a Buyῡ theme each year to try to help "connect the dots." Last year we looked at the san shin and kihon happo in terms of "techniques, tactics and ethics." We discovered that the ethic of protecting self and others – all others – was built right into the techniques. But we had to do them well, because being ethical and compassionate could also be more dangerous. This year I want to explore what happens when the ethics and physical training come together. Can it help us function more effectively in a conflict? That coolness under pressure, the ability to overcome the "freeze" and act when thrust into a sudden violent situation is sometimes called the "combat mindset." One way of describing the combat mindset is the ability to maintain a "professional" frame of mind despite the physical and emotional stresses of war. Professionals are able to focus on accomplishment of the mission without being overwhelmed by the natural emotional reactions to stress and combat – such as fear, anger, desire for revenge, and other counterproductive distractions. I believe that professionalism under fire can be developed through a combination of conscious ethical discipline and consistent physical training. Warrior ethics (moral protector values in action) are the “true north” that guide us through the debilitating physiological challenges, stress and emotions that can assail us during violent confrontations – e.g. the “fog of war.” The training kicks in and we do what needs to be done. In short, a combat mindset is a manifestation of the combined ethical, tactical and physical disciplines. The Combat Mindset helps us to “do the right thing” under extreme emotional, psychological and physical adversity or stress. This includes the ability override the emotions (including the fight, freeze or flight mechanism) and act “professionally” and in accordance with our moral and physical training. You may notice that there are several important concepts above that are in quotes – that is because they are difficult to define adequately. Perhaps the best we can do is make a comparison. When subjected to stress and danger people tend to behave in basically one of two ways. One is called “affective,” that is, emotionally. Emotional behavior is usually ineffective in times of great danger when critical decisions need to be made and acted upon. The other behavior is called “effective” behavior, and that is the behavior of a predator. The predator is cold and rational – like an animal intent on killing for food. Our training, on the other hand, is designed to create a third behavior option: that of the protector of life. Whose life? Self and others. Which other? All others, if possible. Killing only to protect life. This seemingly oxymoronic statement – killing only to protect life – is the behavior of the Ethical Warrior. It is predator-like, in can be cold and professional. But the objective is to protect, not kill. So that is the theme of our 2011 Buyῡ training: "Kihon Happo and the Combat Mindset." How does a combination of moral and physical training help us stay ethical under stress and still coldly professional – able to overcome the "freeze" and do what needs to be done to protect and defend life? Gambattemashou! And don't forget to enjoy yourself!